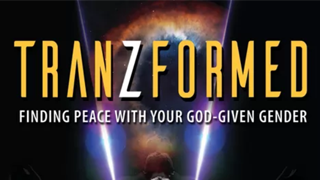 Christian Concern’s Head of Public Policy, Tim Dieppe, reviews ‘Tranzformed’, a documentary that covers transgender issues from a Christian perspective. Transgenderism is gaining prominence in our society with more schools allowing cross-dressing or having gender-neutral bathrooms. The government has proposed relaxing the conditions for people to change gender and it is clear that there is a lot of confusion about this issue both within and outside the church. In this context, it is great to see a new documentary film, released earlier this year which features in-depth interviews with fifteen ex-transgender individuals about their experiences and how they have found peace and healing. The film also includes interviews with experts on the subject of gender dysphoria and how we can help those who suffer from it. The testimonies are very moving and powerful. Each person suffered from gender confusion in different ways and their stories are highly personal, sometimes including abuse. Many of them had surgery or hormone treatment in an attempt to live as a different gender. Key to each of them was a conversion to Christianity and a recognition that God loves them as he made them. The path to acceptance of how God made them has in most cases not been easy, and has often taken several years. They are now able to speak reflectively about their struggles experiences, without denying the reality of many painful feelings that they experienced. This film is a great resource for the church to help understand transgenderism and to counter the popular narrative about it. These ex-transgender people have bravely and courageously chosen to speak publicly about their experiences in order to help others. Those suffering from gender dysphoria are not helped by surgery or hormone treatment, and this film clearly demonstrates that. I highly recommend getting hold of the DVD and watching it and passing it on to others too.